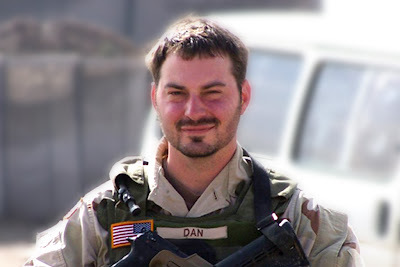 Five years ago, while serving in Iraq, Sergeant First Class Daniel B. Crabtree of the U.S. Army was in his armored Humvee when it was struck by an improvised explosive device. Although he was evacuated by air, he died en route to a Baghdad hospital. He was 32 years old. We were both born in the same year. If he was still alive today, we'd be the same age. As we celebrate the 235th birthday of our nation, it's fitting that we reflect on the sacrifices that folks like Daniel have made -- and continue to make. Yes, my thrusters were awkward and slow. Yes, the same could be said about my running. Yes, LaHo smoked me by three full minutes. Yes, I'm going to be wrecked for the next day or so. But you won't hear me whining tonight. After all, I got to sleep in late this morning, exercise side-by-side with friends at a gym I love, play Legos with my kids all afternoon, and grill burgers in the backyard for our Fourth of July dinner.